I bought Teavana's "The Ultimate Winter Collection" gift tea set for myself over Cyber Monday. A splurge, but no regrets on my part. TL;DR version: some good teas, some okay teas, great tea tins. So the thing that sold me on this right away was that I saw it had 12 small, stackable tea tins included. 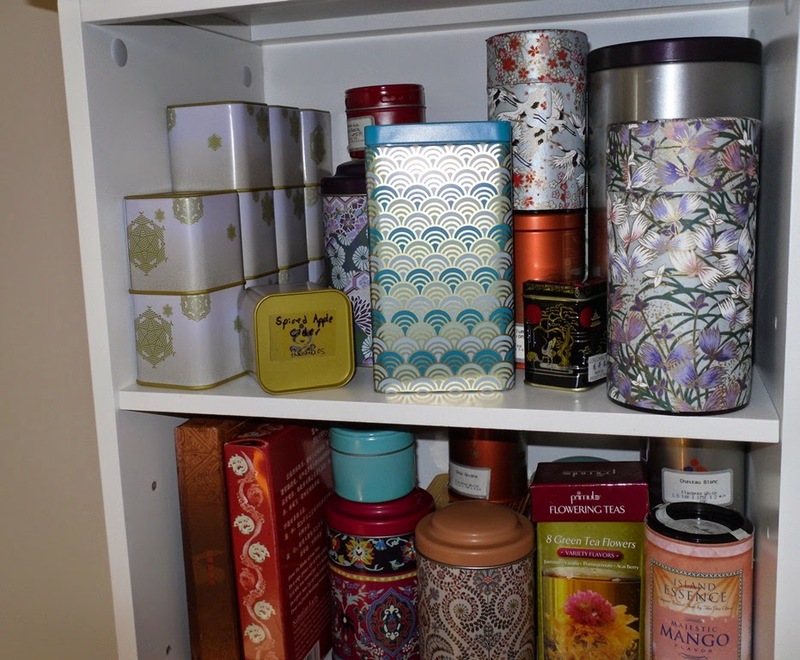 Have you ever bought a Teavana tea tin? The cheapest hold 3 oz and are $4, but are rarely in stock in my experience. The fancy ones run $9-13 and hold at least 8 oz (and lately they've been trending to stock only the large ones in the stores). seem to take up any space at all. That's fine, especially if you drink a lot of the same kind of tea and don't have a lot of variety. But I'm a sample buyer: I buy in 2 oz doses to try new teas. If I really think I'll like them, I buy maybe 4 oz. So I have a lot of wasted space and really tight shelves. Though I do buy larger containers of favorites, for trying something new, I don't want a big container. These 2-ish oz tea tins? They're perfect. Seriously perfect. Stackable. Not giant. The right size for a sample that doesn't leave me feeling like I've wasted a ton of room on a tea I don't much like. At $70 for the gift set, it's not a bad price; on the CyberMonday sale, the 12 tins alone were a pretty good deal, especially when you get 12 ounces tea with them. The teas themselves that come with the set are reasonable and holiday-themed. Actually, while some of them are great, others are the weak point of the set. Or maybe that's just my opinion. It's worth noting that of the ones I've tried, none re-steep very well. Since I tend to re-steep my teas, this is a bit of a disappointment. But the variety is on the whole pretty good. I've fallen in love with the Tiramisu, for example (which is, however, sadly a retired tea and no longer for sale on its own). I've reviewed the Spiced Apple Cider before (tasty but not a value I'd invest in on its own) and tried a couple of the others that I'm excited to get a little more of (I rather like Toasted Nut Brulee and Pumpkin Spice Brulee). Best described as "novelty" teas, really--fun and entertaining, a bit light on substance, but cute. None of them are super-rare or something the tea community would write home about, but the good ones have nice flavor and those I've tried are thoroughly drinkable and enjoyable. The only exception is the CocoCaramel Sea Salt, which I tried once and didn't like--but others seem to like it, so I think it's mostly personal taste. The holiday teas are fun. On the whole I think the sample-sizes are perfect: I'd be unlikely to buy most of them on their own, but as a sample I greatly enjoy trying them. 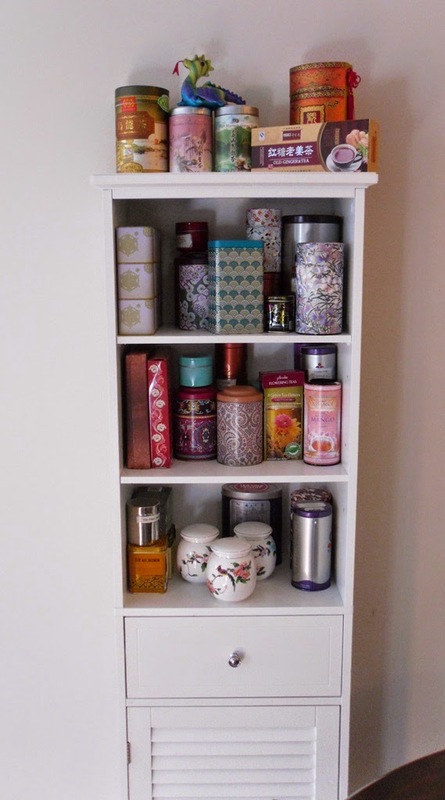 For a single-steep tea at Teavana prices, there's only a few I'll buy myself; in general I'd rather spend the money and shelf space on a multi-steep tea I know I love. But as samples? Heck, I know I'll drink the Spiced Apple Cider; it's quite tasty. Wouldn't buy it by itself, but it's a nice bonus with the White Chocolate Peppermint and the Chocolate Bananas Foster. The major complaint people seem to have with the set is that there aren't labels for the teas. I made my own with packing tape and a sharpie, but it's a legit problem as the tea tins are identical. Since I'll refill them with other teas soon, though, I'm not exactly heartbroken. I'll just switch out the tape. The next major complaint is that the tins are tricky to open. If you have nails, they're pretty easy to open. If no nails, a butter knife will give you the right leverage, but the tops aren't so tight that they gave me trouble after cutting my nails. Might not be a good gift for a family member with arthritis or finger strength/coordination troubles, though, because the flat tops don't give great leverage for opening them. On the whole I'd say it's a good value, and one I'm glad I jumped on while it was on sale. Keep an eye on it, especially if you plan to buy your gifts on post-holiday sales (Teavana usually has at least one good one right after Christmas through New Years).